In the November 28 Assembly polls, the MNF secured 26 seats, five more than an absolute majority in the 40-member Assembly. 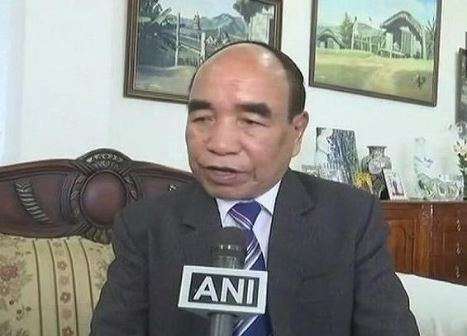 Ending the Congress' 10-year rule in the state, the Mizo National Front (MNF) government led by Chief Minister Zoramthanga assumed office in Mizoram after the 2018 assembly poll. At a ceremony at the Raj Bhavan in Aizawl, Governor Kummanam Rajasekharan administered the oath of office and secrecy to Zoramthanga and his 11 Council of Ministers. For the third time, Zoramthanga (74) took office as the chief minister. Earlier he headed the state from 1998-2003 and 2003-2008. In the ceremony, outgoing Chief Minister Lal Thanhawla, Meghalaya Chief Minister Conrad K. Sangma, Asom Gana Parishad (AGP) leader and former Assam Chief Minister Prafulla Kumar Mahanta, leaders of various political parties and senior civil and security officials were present. "The Chief Minister would distribute the portfolios among the ministers soon after a cabinet meeting," an official of the Chief Minister's secretariat told the media. Zoramthanga won the Aizawl East-I seat for the fifth term. The MNF is a constituent of the Bharatiya Janata Party BJP-led North East Democratic Alliance (NEDA).